Last week we were invited to spend the day at the beautiful TradeWinds Island Grand Resort on St. Pete Beach. We were excited to wind down summer break with a relaxing family beach day at this fun-filled resort! From the sandy beach and pools to the food and activities the TradeWinds Resorts can offer everyone in your family a great beach vacation. It was impossible to experience every attraction this resort has on its property in just one day. 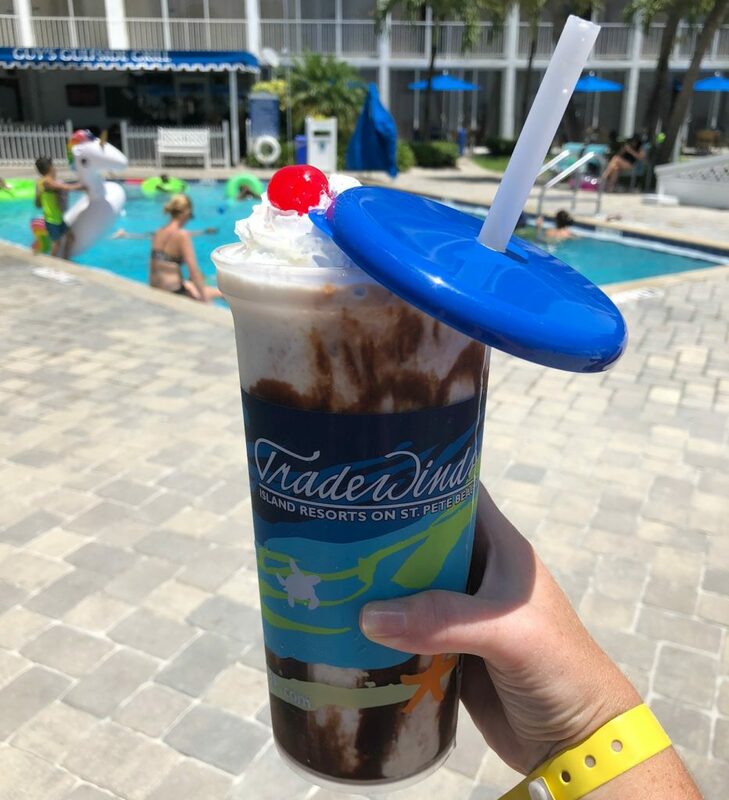 TradeWinds Island Grand Resort is the type of family vacation spot where you could easily stay for an entire week without having to leave the resort, and that means lots of relaxation time for mom and dad! 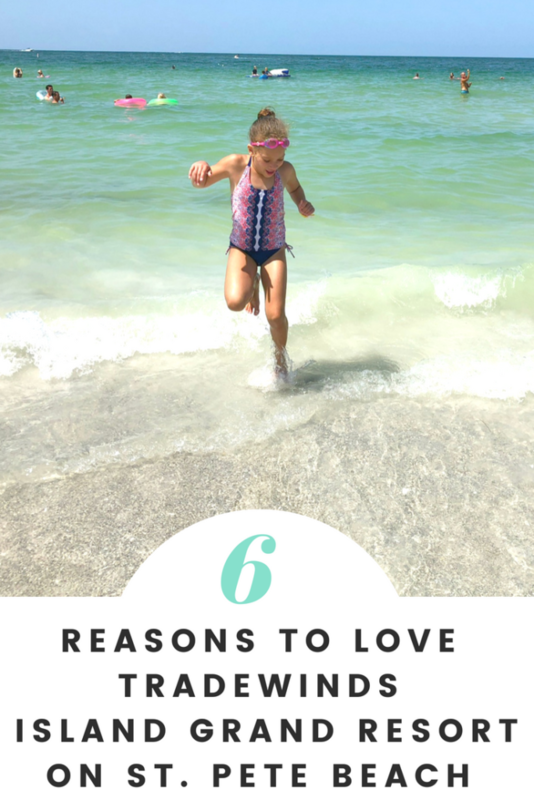 There are countless reasons to bring your family to TradeWinds Island Grand Resort for your next beach vacation on St. Pete Beach and these are my family’s top 6! TradeWinds’ Floating Water Park is over 15,000 square feet of fun that is located just off the shore of the beach directly in front of the Island Grand Resort. 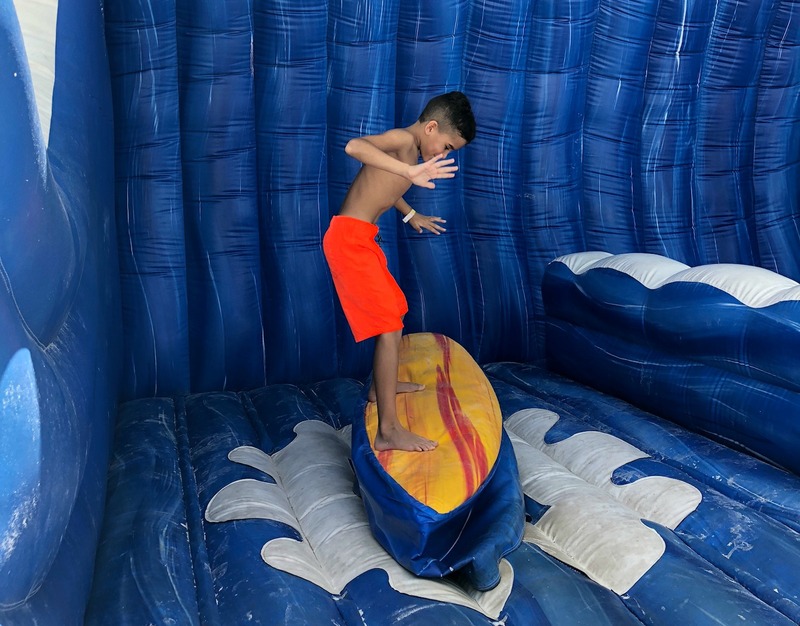 This floating water park has inflatable slides, floating trampolines, ocean loungers, climbing structures and balance beams, perfect for making memories and splashing around warm waters of St. Pete Beach. 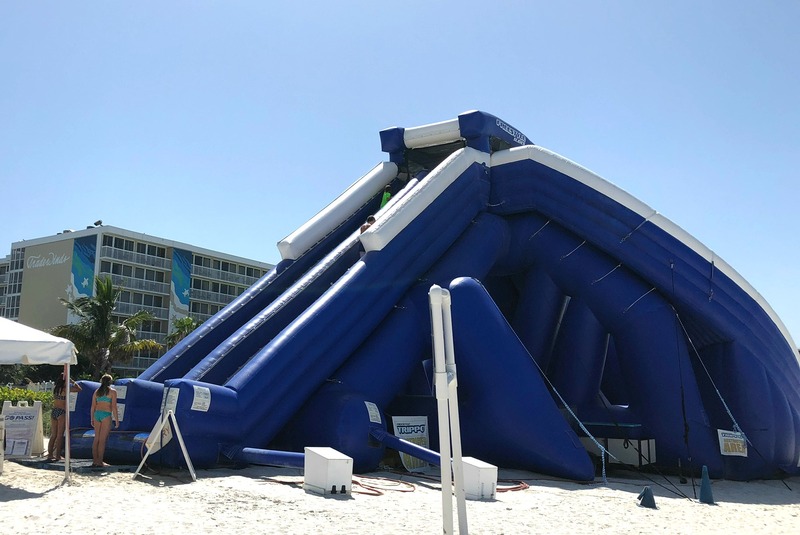 Located right on the beach, the High Tide Inflatable Water Slide is 3 stories high and over 200 feet long! This thrilling ride is the perfect way to get your adrenaline pumping and kick off your family vacation. The fun at TradeWinds Resorts doesn’t stop at the floating water park and ginormous waterslide. 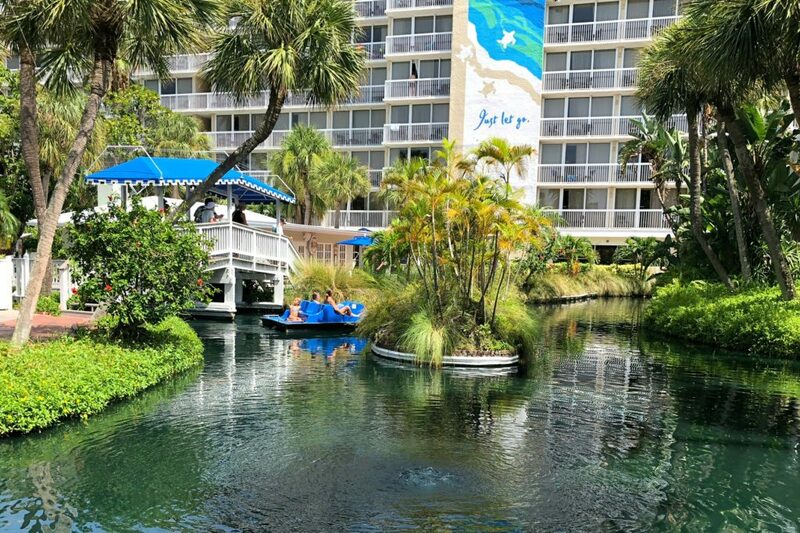 With both the Island Grand Resort and Guy Harvey Outpost only steps from each other, the fun never stops. 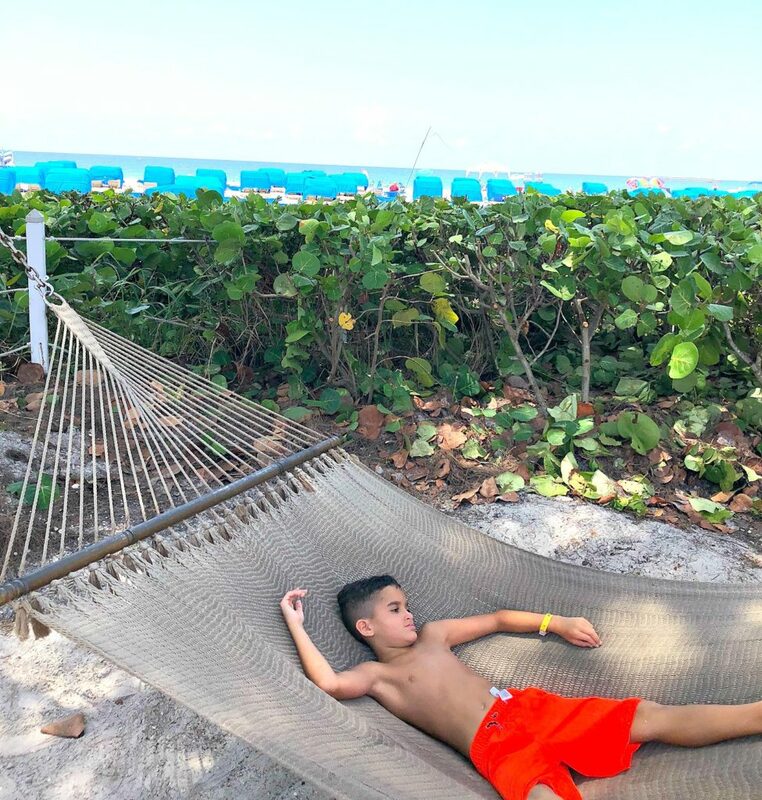 Relax on a hammock as the kids get some mechanical surfing in at Guy Harvey Outpost, and be sure to stop by for some s’mores at night. Then jump for joy on the trampolines, take a relaxing paddle boat ride, or hang by one of the pools at Island Grand Resort. Also, make sure you stop and take a ride on Bucky on your way down to the ocean! This mechanical hammerhead is a blast to ride, so jump on and see who can stay on the longest. If your looking for relaxation or adventure while on your family’s beach vacation, Tradewinds Resort has you covered. 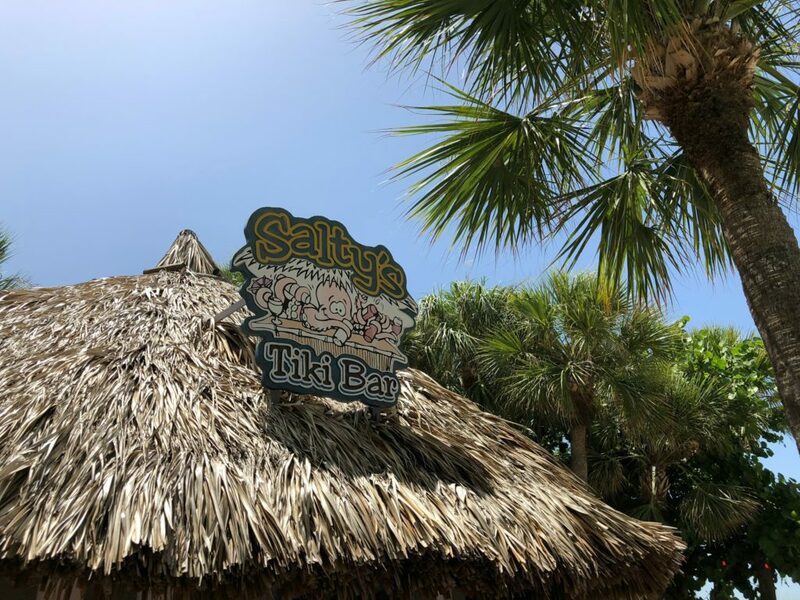 With dining services offered directly to the hooded cabanas and floating water cabanas, there is plenty of places to lay back and enjoy the beautiful gulf coast view. However, if you’re looking to for something more adventurous, why not give paddleboarding, snorkeling, kayaking or parasailing a try? Staying at a Tradewinds Resort on St. Pete Beach gives you the ultimate beach experience at every turn. Guy Harvey Outpost is home to the new RumFish Grill, which not only offers delicious Florida seafood meals it also features a 33,500-gallon aquarium that was showcased on Animal Planet’s Tanked! Beyond RunFish Grill, TradeWinds Resorts have several restaurants, grab and go options, room service, and outdoor bar locations. If you are visiting this summer, give the summer sized mudslide a try, it was one of the best cocktails I’ve had in a long time! Do you live in the area and want to experience TradeWinds Resort’s amenities for the day? Or are you visiting another area of Florida and making a day trip over to the beach? TradeWinds Resort offers Day Passes for $45 a person and can be purchased in advance online here. The day pass includes unlimited access to the High Tide Slide, pools, hooded cabanas, and more! This is a great way to experience Florida’s gulf coast for the day. 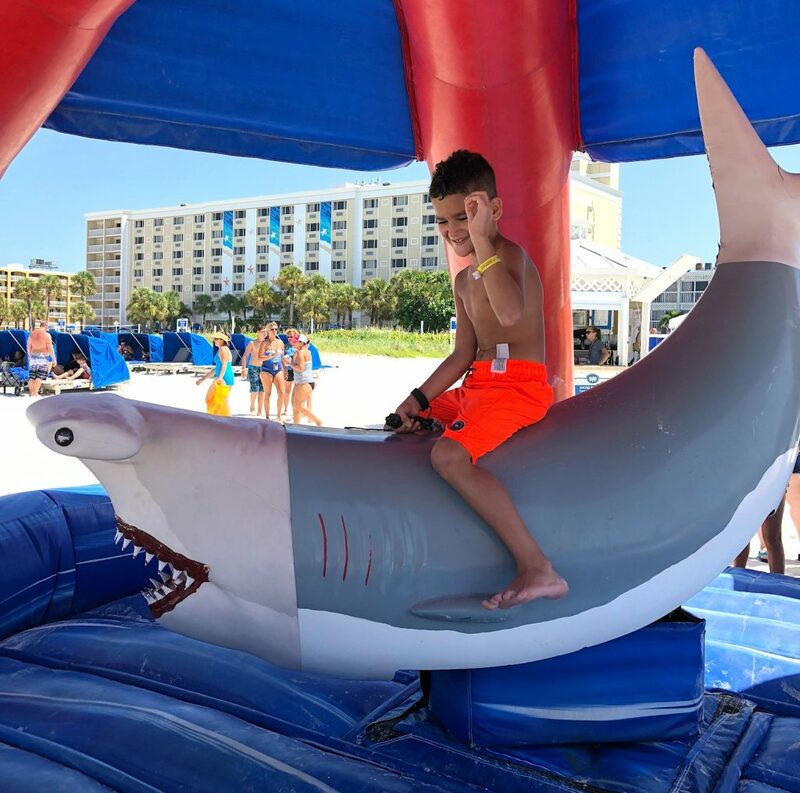 It’s easy to see how much fun can be had at TradeWinds Island Grand Resort! So what are you waiting for? Head over to the resort website to learn more and start planning your next family beach vacation. 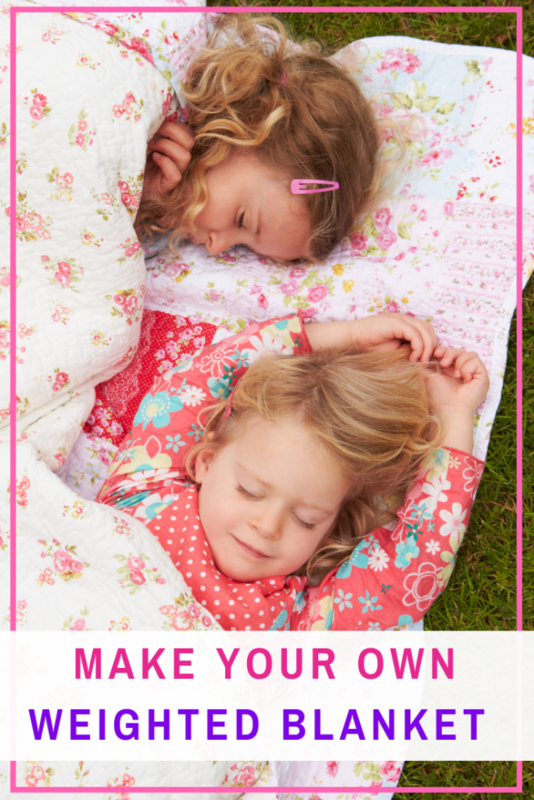 Previous Post: « 5 Easy Back To School Shopping Tips Every Mom Should Know About! I haven’t heard of this beach but if there’s sea I’m in to visit it. And it looks you guys had fun..
Florida is one of our favorite family destinations to visit, this resort checks of all our boxes. Also, I am just a little jealous of that summer mudslide! Wow! There is so much to do and I can’t believe the passes cost so little!!! This looks like so much fun! My kids would die if I took them there! This place looks ideal for a fun filled family vacation. I can see filling a week with all the activities available and imagine your family had a wonderful summer break. My kids are all about the pools when we go on vacation. They are going to freak out when they see the floating water park. Such a great addition to an amazing destination! 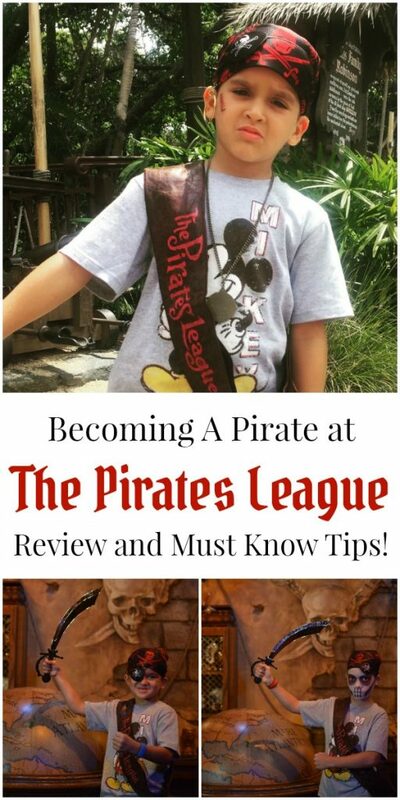 This looks like a brilliant place for families to visit, with so many fun things to do there seems like there is something for everyone! I hope you had the best time. This looks like so much fun!! I love the high tide slide, would love to take my kids here one day.